Vincent Van Gogh predates Pablo Picasso by just over a quarter century. In Van Gogh’s very short lifetime of thirty-seven years, he produced an enormous wealth of work. Picasso was also incredibly prolific, but he lived to be ninety-two – fifty-five years longer than Van Gogh who was born in 1853 in the Netherlands. Picasso was born in 1881 in Spain. Van Gogh died in 1890, and Picasso passed in 1973. Picasso was enamored by Van Gogh’s artistic vision and mastery. According to John Richardson, Picasso’s biographer, Picasso respected Van Gogh more than any other artist, and was even drawn to his peculiar personality traits by having on Picasso’s wall a framed copy of the newspaper report of the infamous ear-mutilation. Picasso had special interest and the luxury of being considerably younger while they were both alive. In 1901 when Picasso was twenty, Van Gogh was already dead a year at only thirty-seven years old. In 1888 Van Gogh painted mother and baby, and in 1901 Picasso painted his version mimicking very closely Van Gogh’s style. Picasso was young and only beginning to develop a technique that would evolve for another seventy years. Some wonder, who was the better artist, like it were a competition. The creation of art however is not a competitive endeavor, the marketing of it, yes, but not the art part. Greatness in that realm comes purely from the unconscious soul. Van Gogh and Picasso each brought something new to the collective consciousness of art aficionados everywhere, and today, in spirited partnership with Van Gogh Vodka and International Artist Day are revitalizing the comparison in a modern day kaleidoscope of mixology – yes, sippable art! 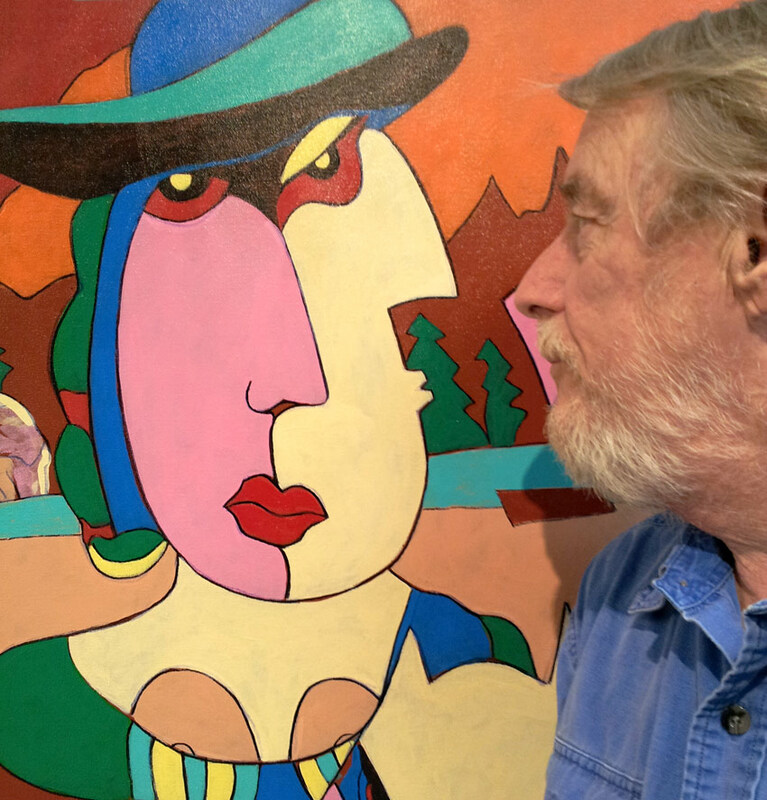 The face of art has changed radically over the last twenty years with the advent of the internet, and now blockchain and cryptocurrencies. It’s changed substantially for both artist and art lover. Traditional galleries are staggering under all the new ways we have of experiencing art. The vast world of digitization allows us to view art on a myriad of screens from gigantic LED billboards in Manhattan to the tiny screen on your phone. Performance art surrounds us daily, and is now even as close as the TIP OF YOUR TONGUE! 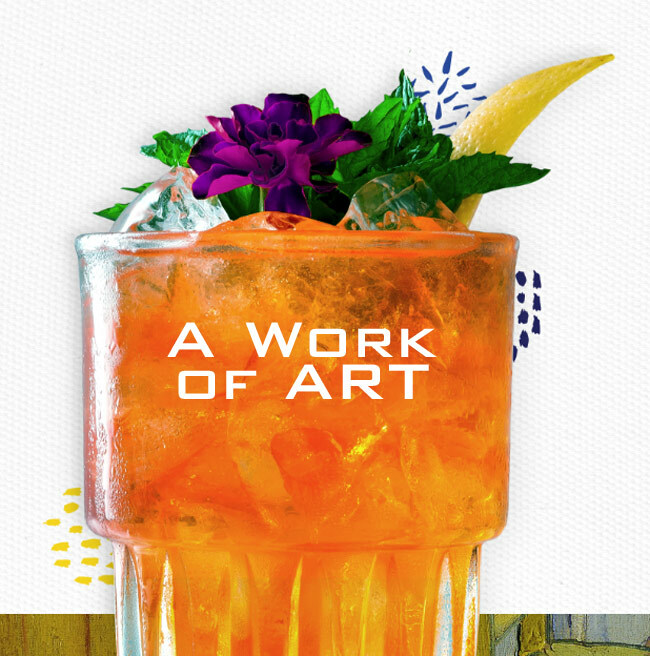 Check out a sippable art experience that will introduce you to yet another way to experience and enjoy the art form of blending libatious concoctions! and see what all the noise is about. October 25th. – Picasso’s birthday to pay him tribute. This year, we’re celebrating for the entire MONTH of October! the main street of White Rock BC … 1459 Johnston Rd. with our popular 12″x12″ Anonymous Show. and maybe sculpting, glass, ceramics, music, et al. about developing style and effective branding techniques. Drop by throughout the month and see some of the tools artists use. Some artists might even share their style secrets and social media strategies. For the first time since its inception in 2004, International Artist Day has a partner. IAD Founder Chris MacClure announced Maurice Cardinal has become an equal partner and together they will work towards increasing the visibility of the IAD and of artists around the world! Maurice, Director of Marketing & Promotions has over four decades of experience promoting the arts in a wide variety of forms including music, photography, videography and writing. Maurice is also an accomplished fine art photographer, business writer, and musician.